Left: carnitas torta, vanilla cream soda. Right: meatball sandwich. Blink and you'll probably miss Fundamental LA, a sandwich shop that's too hip and artisanal to bother with anything as conventional as signage. It would be a shame to overlook this place, since they consistently make some of the most satisfying and original sandwiches east or west of the 405. When was the last time you had crisp, fried sweetbreads, their richness mellowed by tart pickled turnips, piled on a fresh brioche? 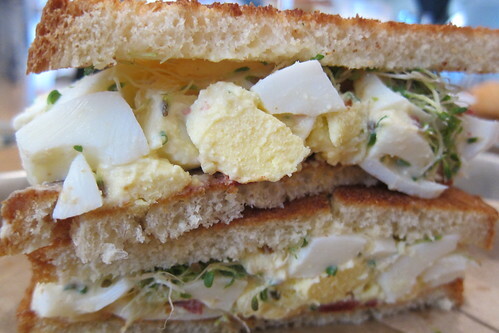 Or an egg salad sandwich made sublime by cream in lieu of mayo? One more thing, Fundamental's vanilla cream soda is the best in the city. You'd be forgiven for thinking, at first glance, that the spartan shop, all white walls with stylishly barren lightbulbs and long communal tables of pale wood, is another predictably tedious and gentrified eatery for trust fund hipsters. Hiding in plain sight on Westwood Boulevard, it kind of seems like it should be. 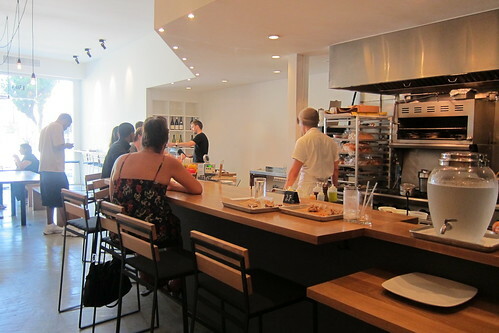 In fact, Fundamental LA, open since in June, is a charmer. The staff is friendly, the menu is small but exceptionally well curated and though the decor is minimalist, the sandwiches are not. That's not to say these are brawlers, the sort of meat-heavy messes that shamelessly revel in their own drippings (a formidable species of sandwich to be feared and respected), but they're not some dainty theoretical exercise in the unification of bread and meat. Like the baby bear's chair, porridge and bed, the sandwiches at Fundamental are just right. The menu changes daily, sometimes from lunch to dinner, an inconsistency that's as intriguing as it is frustrating. Though Fundamental generally only offers six sandwiches at a time, you could easily return on a dozen visits and never work your way through the entire menu. 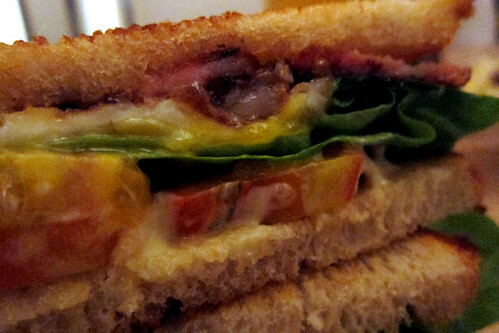 On the downside, if you so love the BLT, the bread daubed with honey (or is it maple?) and dripping with a freshly fried egg, you feel compelled to return the next day and share it with your best friend, it may not be on the menu. Call us purists, but bacon must always be on the menu. The sandwiches veer from upscale versions of American classics like meatloaf and grilled cheese to intense takes on Italian porchetta. Yes, we're all still mad for pork belly. 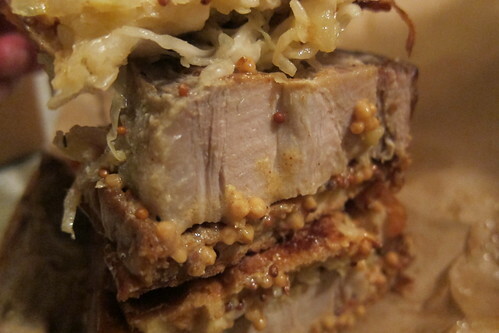 Here, it's an inch-thick slab, slathered with tangy sauerkraut and grains of mustard as large as Beluga caviar. The hefty heap of meat looks a bit intimidating, but it's tender and yielding on every bite. 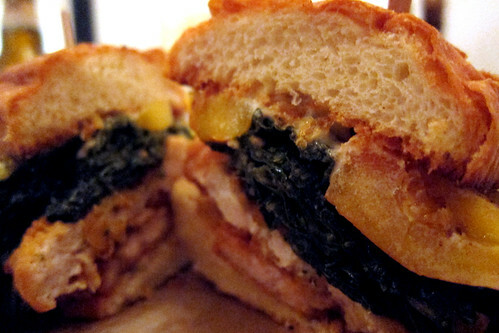 Picking a favorite at Fundamental is a Sophie's choice, but the meatball sandwich is a contender. It's simple, no overworked ingredients or fussy spicing. No meat torpedo that will cause a bypass survivor's heart to flutter. It's a fluffy disc of bread piled with golf ball-sized meatballs of perfectly spiced pork dripping with the funk of taleggio. It's hearty not leaden, leaving you full but wishing that you're stomach was larger. Nothing disappoints at Fundamental. The potato chips are freshly fried, the chunky potato salad is full of bacon and the churros, fried to a dark brown and coated in ribbons of caramel, resemble nothing so much as Dune sandworms ("He who controls the cajeta, controls the universe!"). 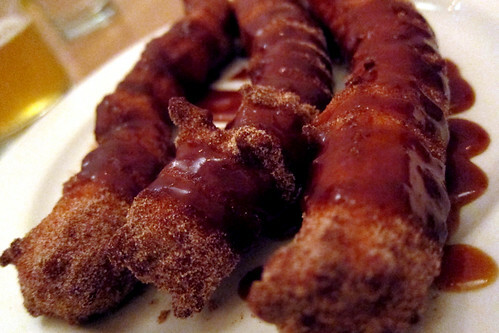 These churros, like the sandwiches and the sides, are all masterfully reimagined. Missing this place would be a fundamental mistake. Fundamental LA: 1303 Westwood Blvd. Los Angeles. (310) 444-7581, www.fundamental-la.com.